Summertime, and the living is easy! Unless you have kids, of course. Then you’re just as busy as ever! The lazy days of Summer no longer exist for me. As my four kids grew and changed, our lifestyle changed with them. Sports and activities started to sneak their way into the Summer months, and my kids want to do things now, instead of hanging out at home all day. Although I long for the lazier days that once were, those days are no longer feasible! I’ve learned to embrace the busyness, and go with the flow. One day, in the not too distant future, I will have my lazy Summer days, and I’m certain I will be wishing back every single moment of the chaos! The thing about time is there is no stopping it. The Summer months fly by, and the years fly by even quicker. Despite my acceptance of the busyness of Summer, it can still be overwhelming at times. Add in all the Summer picnics and parties to our already chaotic schedule, and I am one tired mama! 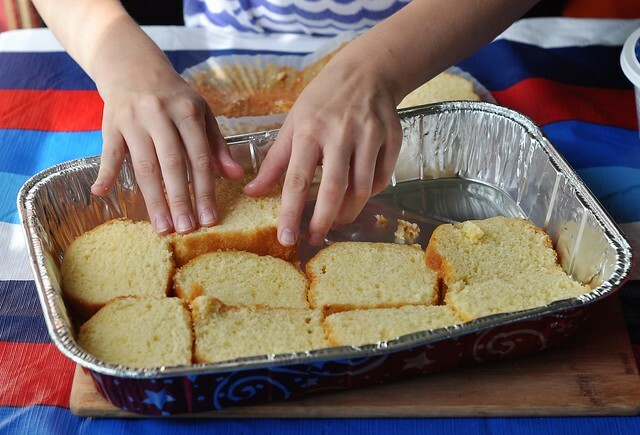 Although I have the best intentions to create delicious recipes for the picnics we attend, my attempt always fails. I have the most Pinterest-ing recipes at my fingertips, but I either forget to pick up an ingredient, or I simply run out of time. Most of the time, I’m the hot mess of a mom showing up at a picnic with a container of store-bought cookies or store-bought drinks. Thankfully, Walmart can help me out now with their new Grab Go Wow program, featuring Kraft-Heinz products! 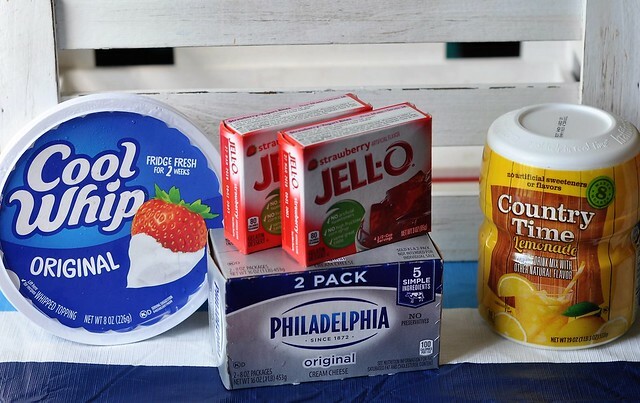 You can access the easy recipes online, head to your local Walmart store to purchase the popular Kraft-Heinz products that you probably already buy at the great Walmart prices, then quickly whip up the delicious recipes at home. 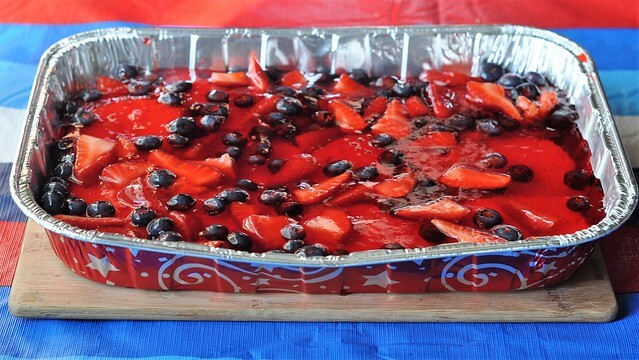 With the 4th of July just a few weeks away, I wanted to try out a few recipes that I looked like crowd-pleasers. #GrabGoWow was the perfect place to start! 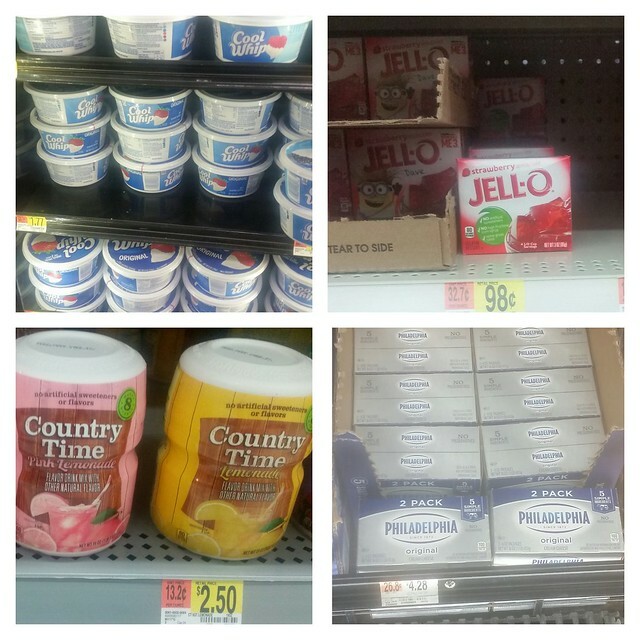 I visited the website, saved my list of ingredients, then headed to my local Walmart to purchase the items. I quickly found everything I needed! Every item was in stock and priced lower than other stores in my area. The recipes I chose did not disappoint! The directions were very easy to follow. My 10 year old daughter, Lexie, who loves to cook, did most of the work. Five year old Lily even stepped in to assist. Most important, both recipes were a hit with my entire family. I can’t wait to try more #GrabGoWow recipes! 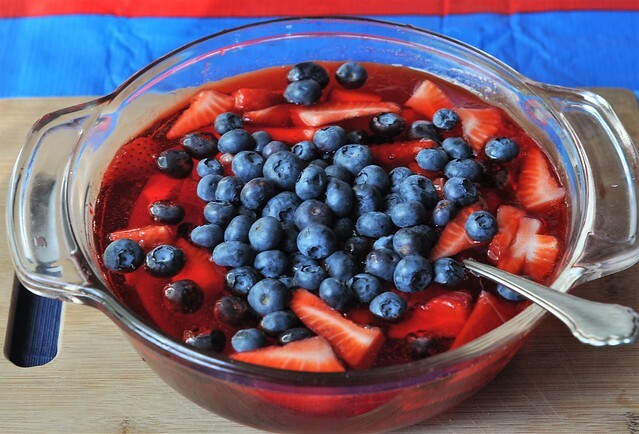 Lexie loved making this perfect Summertime dessert for our family! 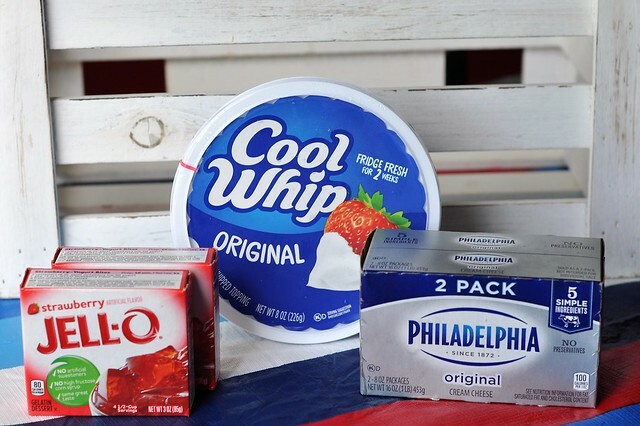 It was full of ingredients that everybody loves: Strawberries, blueberries, JELL-O, PHILADELPHIA Cream Cheese, and COOL WHIP to name a few! 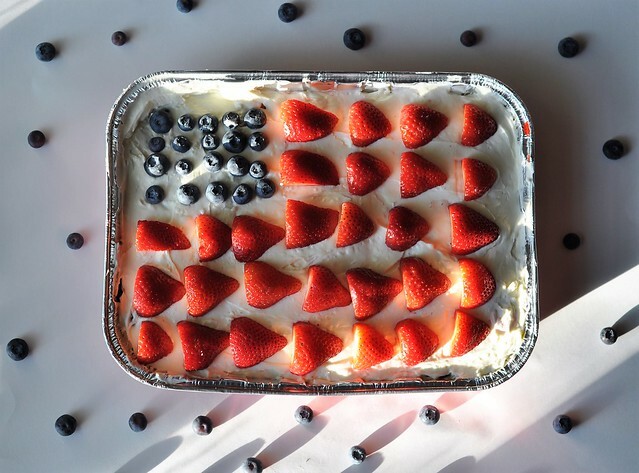 Wave Your Flag Cheesecake was quick (and fun) to make! (Who doesn’t love licking the spoons and the bowls?) My kids just wanted to decorate the cake and dig in! 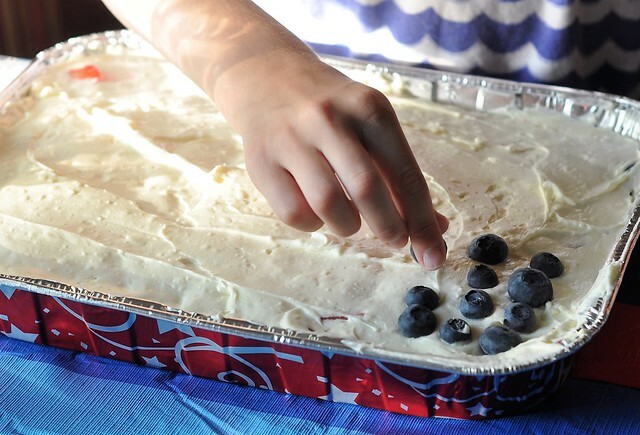 The end result was absolutely perfect for any patriotic holiday, and so tasty that my family already requested that it be made again soon! Lexie whipped up this recipe all by herself from start to finish. 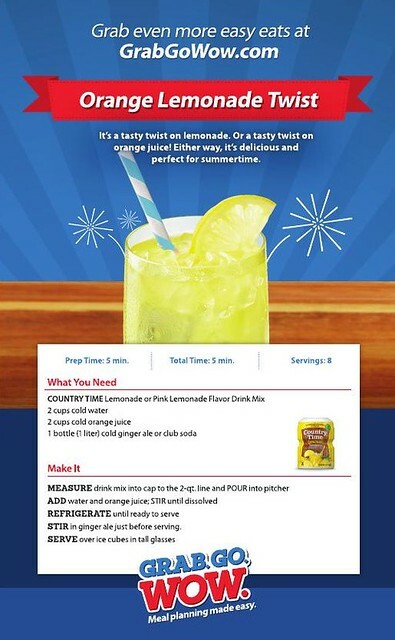 With only a few ingredients and a few minutes of time, you can have a party-perfect drink that will please the entire crowd! 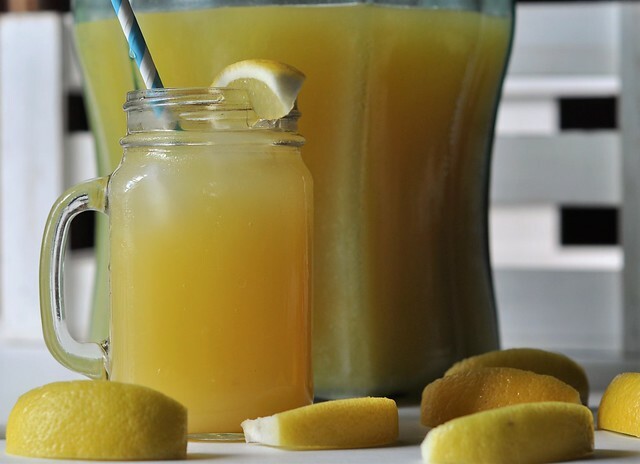 This deliciously refreshing Summertime drink is perfect for any occasion. 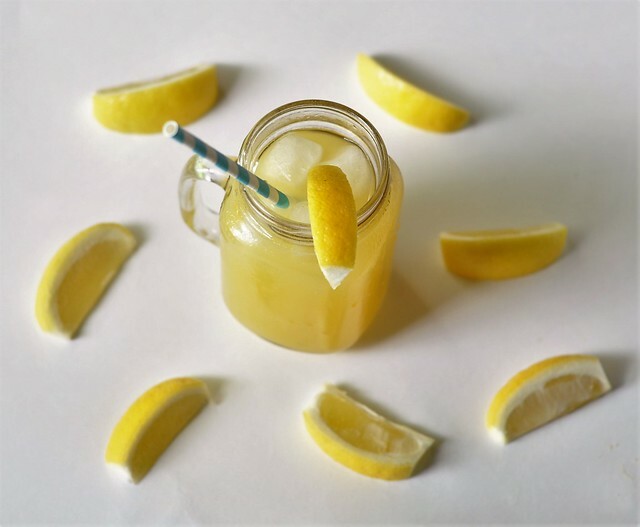 Lexie hates lemonade, but she couldn’t get enough of this drink! All six of us agreed with her. 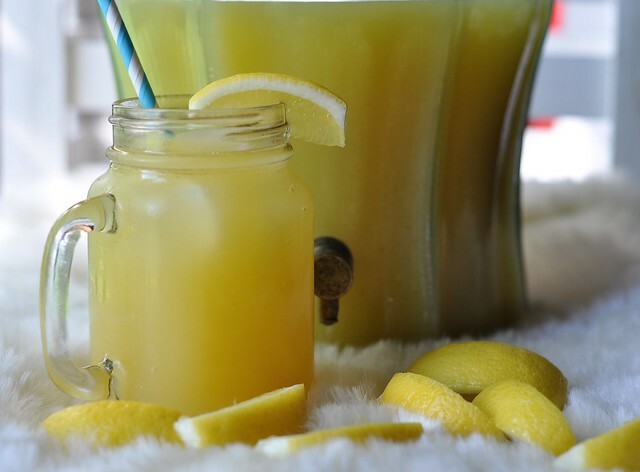 This drink recipe is truly one of our new favorites! 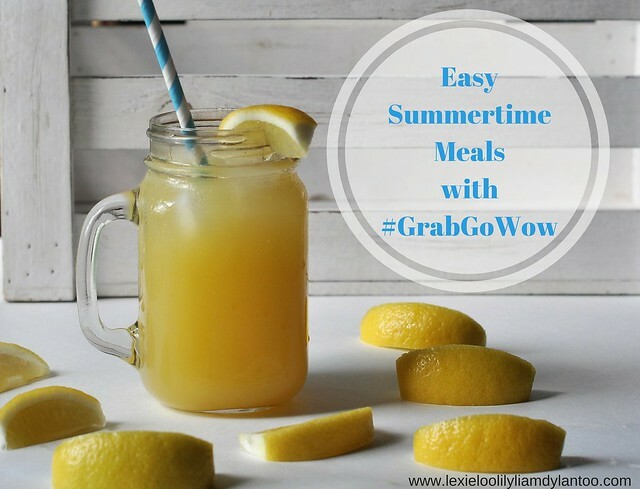 Thanks to #GrabGoWow, I am ready to rock my meal planning this Summer, and arrive at every picnic with recipes that will make everyone happy! Utilizing this awesome meal planning program truly saves me time and money. As a busy mom of four, I can proudly support that! Visit Grab. Go. Wow. to discover all the delicious recipes! 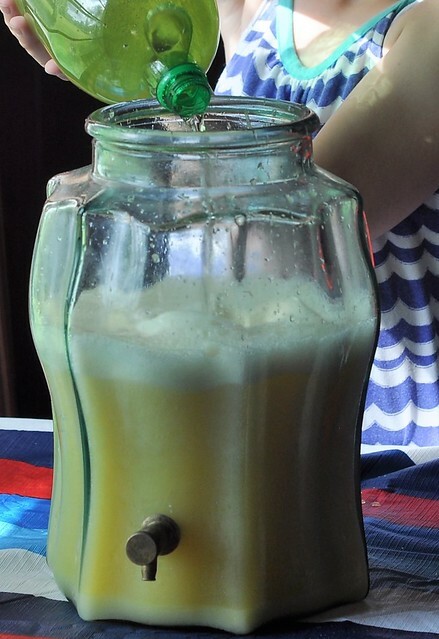 The drink looks perfect for summer! I'll have to keep it in mind for my son's birthday! 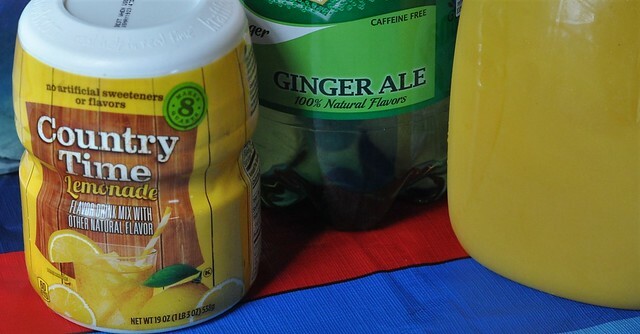 That drink sounds soooo good. 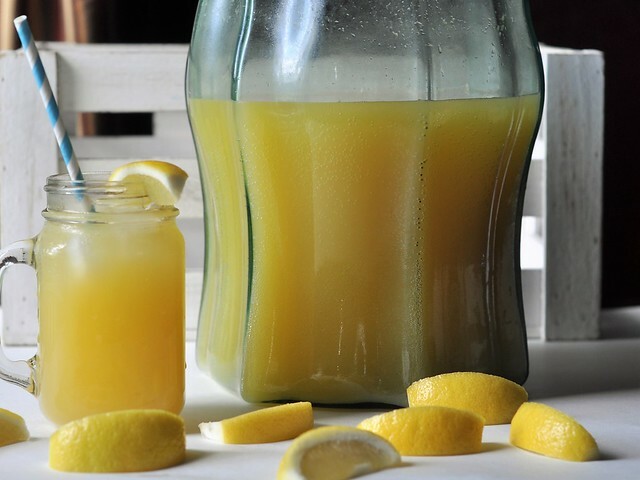 Lemonade is one of my favorite things so I love this twist! That cheese cake recipe looks amazing. 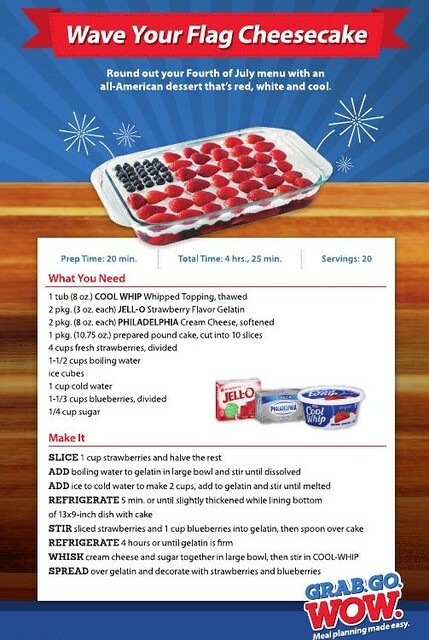 I'll have to make this for the next big holiday. Yum ! Both those recipes look so good ! Love the idea of the easy meal planning and grocery list in one ! Both of these look amazing!! Mmmm those both look so yummy! Thanks for sharing! Everything looks so yummy! That's a pretty awesome service, especially when you're in a time crunch! Anything that makes my life easier is a win! 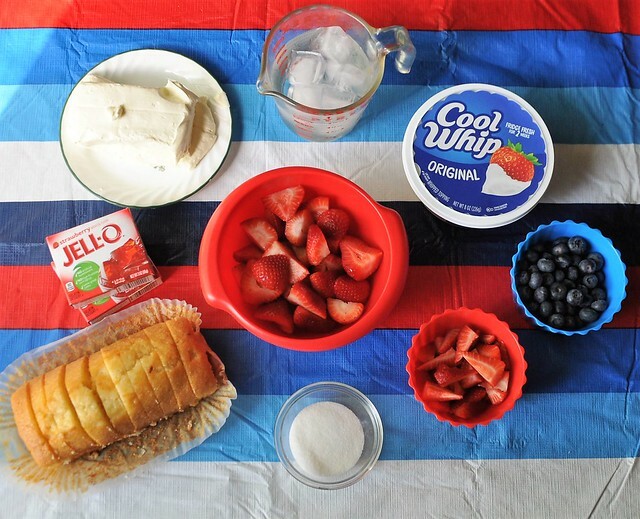 That cheesecake looks so easy to make! And that drink looks so refreshing. I'm going to have to try both! That cheesecake looks so easy!